ImageFinder Suite software is commonly referred to as search-by-image software, which is sometimes referred to as reverse image search. Search by image or reverse image search. Whole image against Whole image search only. User friendly (pre-trained), no parameters to be adjusted. Search for an image from a folder in four clicks. Search for a cropped image segment from a folder in three clicks. User friendly (pre-trained), has no parameters to be adjusted. Not pre-trained; Training will done by user which opens up greater design possibilities, but increases the degree of difficulty. Can be used for whole image search OR for cropped image segment search from a folder. 100 open parameters for the user to adjust for their particular image type. Enables System Integrators, Solution Developers, and Individuals to quickly test their own image recognition ideas. Customization Available for 3000+ internal parameters, which the users have no access to at all. To get maximum accuracy for a particular problem, customization will be required. If you need a customized version, please contact gina@attrasoft.com. 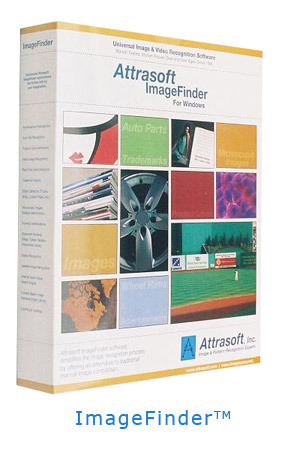 Attrasoft ImageFinder Suite provides you with software solutions you need.